Two years after the last Northlander pulled out of the station, a new book claims that the uncertainty and frustration surrounding the cancelled divestment of the Ontario Northland Transportation Commission was unnecessary and that the entire divestment was flawed from the start. 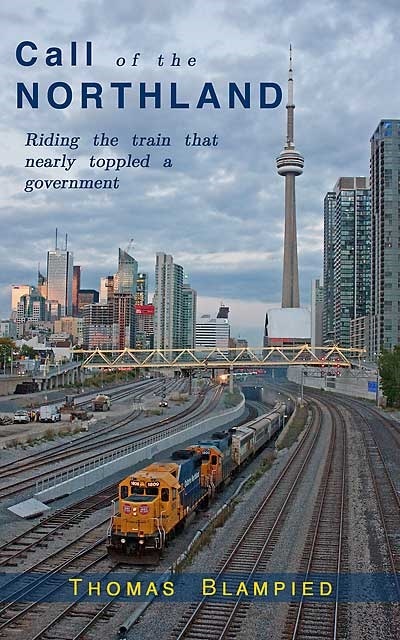 "Even if the financial case for divestment had made sense, the McGuinty government's complete lack of transparency and public engagement meant that divestment could never have succeeded," said author and historian Thomas Blampied, author of Call of the Northland: Riding the train that nearly toppled a government. "I've spent more than two years trying to understand the rationale behind the divestment plan and I’ve concluded that the numbers simply don't add up. Divestment would not have saved money. The government's claim of stagnant ridership on the Northlander was inaccurate. In fact, I believe that ridership was growing." The book argues that the Wynne government's decision to end the divestment plan (choosing instead to ‘transform’ the ONTC) was an important development. But questions remain about why it took so long for divestment to be halted and why Ontera is still being sold. "After the joint management/union business proposal was tabled in February 2014, the government changed its mind within a matter of weeks. Why did it take so long to reach this point? Why did Northern Ontario have to suffer through two years of uncertainty?" Call of the Northland is an account of the Ontario Northland's history, from its earliest days in1902 to the end of the ONTC divestment in mid-2014. The narrative is woven through the author's journey aboard the Northlander from Toronto to Cochrane in 2012. Call of the Northland goes on sale on September 29 and will be available to purchase online through northland-book.net and in select retailers across Ontario.